Matcha tea is a special type of precious green tea powder and has a long association with Japanese tea ceremony and Zen. A unique, beautiful and richly flavorful drink, matcha tea gives people a feeling of well-being. 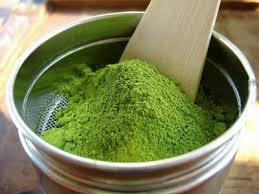 Matcha tea is the only form of tea in which the whole leaf is consumed. Matcha tea may aid in the protection against many kinds of cancer, slowing down the aging process and also reducing harmful cholesterol. Matcha green tea possesses antioxidant levels 6.2 times that of goji berries, 17 times that of wild blueberries and 60.5 times that of spinach! Atsuko was born and raised in Aichi Japan. As a child she loved helping her mother prepare traditional Japanese dishes. In 1996 she moved to Los Angeles to study gemology. After earning a certified gemologist degree she worked in a diamond grading laboratory for five years before giving birth to her first child. Today she is inspired by many different cultures and cooking styles. She has become very passionate about creating unique and beautiful cakes full of originality which you can't find anywhere else. 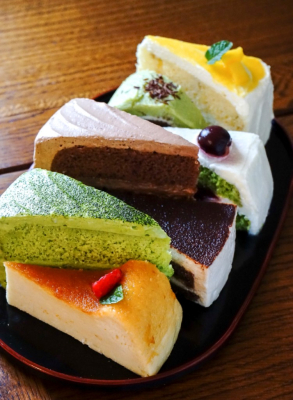 Her cakes are filled with lots of love for her family and friends to enjoy.